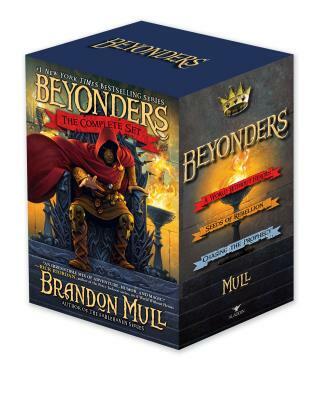 Don’t miss any of Jason’s thrilling adventures—get the complete boxed set of the Beyonders trilogy. After falling into a new world called Lyrian, Jason must figure out the clues that piece together an ancient word that could bring down Maldor, the terrifying leader of Lyrian. He is helped with his newfound friend and sidekick, Rachel, who has also stumbled into Lyrian. Together, they go on an extraordinary quest to figure out how to become the heroes that Lyrian needs, no matter what the cost. This epic fantasy trilogy includes all three action-packed titles: A World Without Heroes, Seeds of Rebellion, and Chasing the Prophecy.